Legal advice is being sought over whether the Town of Coaldale can ban cannabis within their boundaries. During their regular June 25 meeting, Coaldale town council discussed the outcomes of their public engagement over cannabis in town, as well as the potential Cannabis Consumption Bylaw 742-R-06-18, which would regulate cannabis use in town. With the legalization of cannabis coming into effect on Oct. 17, the town now has a set deadline in which to enact it’s own cannabis regulations by. Spencer Croil, director of planning and development for the town, said that after they’ve encountered over a thousand viewpoints over the past few months on how to handle cannabis use in town, and had presented several recommendations to council based on that feedback. Coun. Jacen Abrey asked why administration didn’t include the option of prohibiting the sale and use of cannabis in their report. All recommendations made in the report are in regards to passing first reading up to third reading, making amendments or holding a public hearing on it. Croil said the report was drafted around feedback that the town received. While council can prohibit it if they choose, he recommended, from a procedural prospective, that in case of future, potential challenges from this who disagree with the town prohibiting it, they seek a legal opinion before they do so. At council’s June 11 meeting, the results of the cannabis survey were presented to them, and following direction, Cam Mills, planning advisor with the Oldman River Regional Services Commission (ORRSC), said that they have drafted a potential consumption bylaw. 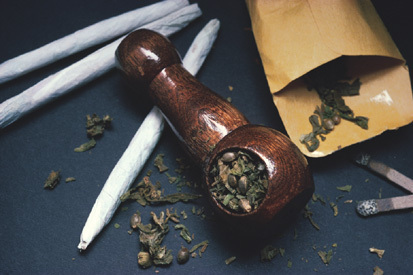 According to the results online survey the town held from April to mid-June, 90 per cent of respondents were in favour of cannabis being consumed indoors on private property only, 64 per cent were in favour of it at specifically licensed facilities, or cannabis lounges — although that is not currently legal under current legislation — and 62 per cent were in favour of its use outdoors on private property only. Mills said that the town’s bylaw is framed around what the city of Calgary produced, although in the Coaldale bylaw, consumption is limited to indoors on private property, while Calgary is both indoors and outdoors. Mills also cautioned council that there could be difficulties limiting the consumption of cannabis outdoors on private property. Coun. Briane Simpson asked if there were any way they could limit indoor consumption around children under 18, as “second hand smoke isn’t exactly beneficial to anyone around them. Mills said that it would be difficult to answer, as it “hasn’t been answered in the courts”, and it would be hard for an enforcement officer to prove that someone was smoking around children indoors as they don’t have the ability to forcefully enter a property to perform inspections. “It could be something that is administratively difficult to do,” said Mills. “Certainly, there’s some moral ethical questions around doing so at home — that’s going to be true of cannabis, just like it’s true of any other number of substances. Coun. Roger Hohm said that he had people asking him similar questions, noting that it was “interesting” that people weren’t allowed to smoke indoors around children, while with this proposed bylaw, it essentially forces people to consume cannabis in whatever form inside, potentially around children. “With cigarette smoke, we’re not allowed have it indoors and around children, and then all of a sudden we come up with a bylaw from the town that now is going to force anybody who is going to smoke or vape or whatever, cannabis, to now do it inside, where you may have your children,” said Hohm. Mayor Kim Craig voiced his displeasure over having to deal with the difficult questions that have arisen from the “poorly crafted legislation from the senior level of government, in my humble opinion”. Citing examples of problems “handed down to municipalities”, such as smoking cannabis in a fourplex with a poor ventilation system, Craig said he felt it was “very unfair of senior levels of government to launch this on our laps”. Coun. Bill Chapman raised an issue with section 3.1 of the proposed bylaw, which states that, “A person must not smoke, vape or consume cannabis in any public place. A person must not smoke, vape or consume cannabis outdoors in any place, be it public or private”. He said that someone could argue against the outdoor component of it, as what they do on their property is their business. Abrey disagreed with Chapman, noting that the town has bylaws for things such as unsightly premises and firepits, which effects a person’s property, and asked for further clarification on what he meant. Chapman replied that it was part of the idea that people can drink on their own property and are not vacating the premises, they should be allowed to do so, and people would argue for consumption similar to what they can do with alcohol. Simpson asked how hard it would be to regulate people smoking outside. Noting a family member who is only allowed to smoke cigarettes in the garage or outside — the latter of which wouldn’t be allowed under the proposed bylaw — and acknowledge that not everybody has a garage they could go and smoke in. Croil said that best practice in crafting bylaws was to ensure that they could be enforced. However, because there are so many unknowns about the issue, “it’s hard to give a clear answer on that”. Representatives for the Alberta Gaming and Liquor Board have told town administration is discussions that they expect communities to make several amendments to their cannabis bylaws as both province and municipalities tweak their legislation to better serve their residents. Coun. Doreen Lloyd said she agreed with Abrey’s position to prohibit it. Noting that they now had now time to make a decision with the October legalization date as opposed to the potential summer date, she asked if the town could pursue prohibiting the sale and use of cannabis. “We don’t want our children exposed, we don’t want it in our backyards, we don’t want our neighbor smoking, so why don’t we try? What have we got to lose?” asked Lloyd. Croil said that it could be hard to police who is smoking — especially if they are doing it indoors — and noted that as the province will be selling it online, so keeping it out of the community is going to be “essentially impossible”. He again stated the need to seek legal advice on that question. Abrey asked if prohibiting it in town gave the RCMP the same authority “they’ve got today in enforcing it”, even if it was ordered online through the province and not brought in a store in town. Hohm said that although he understood where Abrey was going with it, in the County of Cardston — which is considered a dry community — he said you can still possess and consume alcohol. Abrey disagreed, argued that Alberta Health Services, at an open house on cannabis, said that with store fronts, cannabis will become more accessible to children, and be used more and more, similar to the situation with liquor stores. Hohm suggested a motion to perform first reading of the bylaw, amending it to allow cannabis use in public space, rather then restricting it to the indoors, and asked that they perform all three readings of the bylaw, with amendments. When asked, he said he didn’t believe that they needed to hold a public hearing on it, as they have had a lot of responsive to their survey and not many showed up to their open house, which to him, suggests that their residents “is ready for this”. Chapman also asked for administration clarification on setbacks in the bylaw. Simpson remarked that while the vast majority of respondents in the survey were for smoking inside the home, about 30 per cent less wanted outdoor smoking, and she was conflicted over it. Craig noted his preference that if they do first reading on the bylaw, he would like to hold a public hearing on the bylaw. Simpson asked what AHS position on smoking cannabis indoor versus outdoor was. Mills said that as far as smoking cannabis goes, there is provincial legislation, such as the Tobacco Reduction Act, which governs Tobacco use in the province, that cannabis smokers would have to abide by. Council defeated a motion to perform first reading of the bylaw, to allow for consumption on private property, with the amendment to exclude that a person must not smoke, vape or consume cannabis in any public place and a person must not smoke, vape or consume cannabis outdoors in any place, be it public or private., in a 2-5 vote. Coun. Henry ‘Butch’ Pauls and Hohm voted in favour, while Craig, Chapman, Lloyd, Simpson and Abrey voted against. Abrey requested that they make a motion to direct administration to get legal counsel on prohibiting cannabis use and sale within the town limits, and challenging the provincial and federal government on their legislation. Hohm asked then, seemingly in a sarcastic manner, if they should then expand that to include alcohol and tobacco as well. According to the Coaldale Town council meeting calendar, they have four meetings scheduled before the Oct. 17 legalization deadline, scheduled to take place July 9, Sept. 4, Sept. 24 and Oct. 9. Abrey also stated that at their open house, the RCMP said they had no way to test impairment roadside, and would need to draw blood, and raised his concern with that situation. Council passed a motion to direct administration to obtain a legal opinion on the Town’s prohibition options as it relates to Federal Government’s legalization of cannabis and for the opinion be obtained and presented to Council on or before July 30, 2018, in a split 5-2 vote. Pauls and Hohm voted against, while Craig, Chapman, Lloyd, Simpson and Abrey voted in favour.